Pomegranate is a favorite fruit for cocktails. You can mix up fresh pomegranate drinks when the fruit comes into season or use pomegranate vodkas, liqueurs, and juices to enjoy the sweet flavor all year long. These options make for some fun and delicious pomegranate cocktails that are a breeze to mix up. From sweet vodka martinis to cocktail recipes featuring gin, rum, tequila, and whiskey, there's a great drink waiting for everyone. A stunning and simple cocktail, this pretty pink drink is filled with soft fruit flavors. The pomegranate flavor comes from Pama, the most popular pomegranate-flavored liqueur on the market. It's lush, sweet and has a beautiful red color and pairs very well with the pink grapefruit and vodka in the blushing lady recipe. Uncomplicated, the Pama martini shakes up in minutes with just three common ingredients. All you need is Pama, your favorite vodka, and an orange liqueur. Of course, premium spirits are recommended to create the fruity martini of your dreams! Sweet and refreshing the Patrón pomegranate is an incredibly simple recipe. It has a margarita base, complete with tequila, orange liqueur, and lime juice, and really pours on the pomegranate juice. It mixes up quickly and is perfect for a cookout or picnic. This is no one-dimensional pomegranate margarita. It pairs the sweet, juicy arils (the fruit's seeds) with passion fruit juice. Using reposado tequila gives it a lovely oak background and there's no need to pull out the blender. Just grab your cocktail shaker and mix it up! Always a crowd favorite, the pomegranate Champagne punch is a lot of fun to mix up for a party. 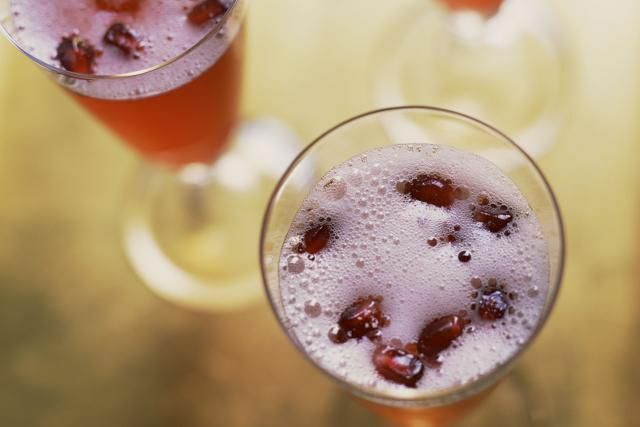 Its layers of flavor include pomegranate, cranberry, citrus vodka, and sparkling wine. While the cinnamon syrup gives it a holiday-worthy nuance, you can easily switch that out for parties year-round. The name may indicate that this vodka martini is great during the holidays, but it's a fabulous choice year-round. 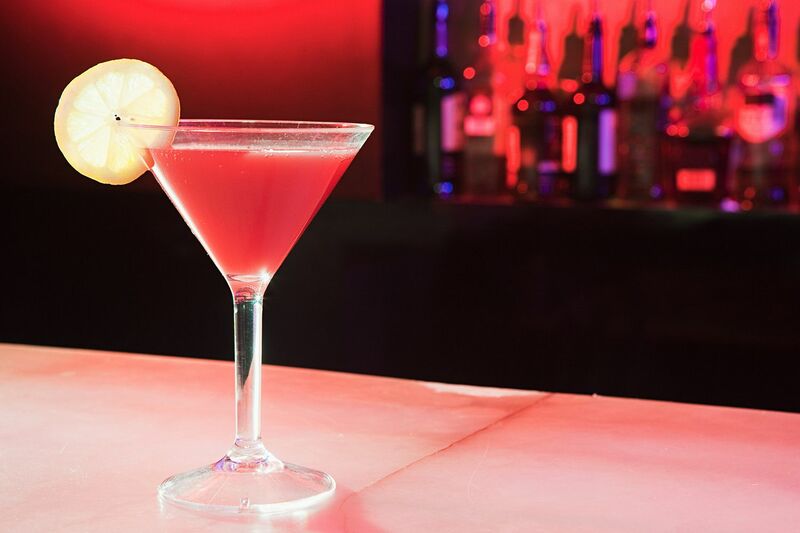 The peach pomegranate holiday martini offers a blend of bright fruit flavors, including a brilliant pomegranate vodka. That is paired with peach and orange flavors, while a hint of cinnamon gives it a final touch of holiday spirit. The poinsettia has long been a favorite Champagne cocktail for the holidays. This pomegranate poinsettia recipe gives it a bright twist with Pama. Rather than cranberry, you'll use orange juice, which pairs perfectly with pomegranate. The Moroccan cocktail is a very interesting recipe that doubles up on the pomegranate and adds a unique complementary flavor. The cardamom-infused simple syrup makes the drink a taste experience and a really nice option when you get tired of the usual fruit martinis. It's a little sweet, a little sour and has just a hint of spice. The Pama ginger-tini can easily become a new favorite on your personal martini menu. The recipe uses Pama, vodka, and grapefruit along with the sweet spice of ginger syrup. It's an explosion of flavor in a cocktail glass! Bright, refreshing and a fun take on a classic cocktail, the pomegranate gin fizz is perfect for warm days. It brings the fruit into the world of the gin fizz and gives it a herbal spin with lavender simple syrup. For more of a classic style, an egg white gives it a great foam. Whiskey is another fantastic complement to the sweet taste of pomegranate. The Belmont jewel is, essentially, a whiskey-pomegranate lemonade. It's served tall on the rocks and can easily be adapted to fill a pitcher for a small party. On a hot summer day, few drinks will cool you down like the pomegranate-grapefruit frosé. This fruity slushie is a delight to sip and offers a wonderful trio of flavors from pomegranate vodka, rosé wine, and grapefruit juice. There are a variety of ways you can enhance it and make your own custom frosé. Tequila in a Christmas punch? Absolutely! Mrs. Claus' wildside punch is made up of X-Rated Fusion Liqueur and blanco tequila. The liqueur is a bright blend of fruits and it goes nicely with the recipe's pomegranate and cherry juices. With just four ingredients, your punch will be ready in minutes. The rich flavor of pomegranate takes on a whole new life when it's warmed up. With the winter warmer mulled sangria, you can share the experience with friends on a chilly day. It uses three pomegranate-flavored ingredients, a bottle of red wine, and fresh cranberries. Jägermeister and mulling spices give it a beautiful spice. A lovely dinner companion, this red carpet cocktail is intriguing. The recipe requires an ultra-smooth vodka, which is paired with Campari. That aperitif's bitter flavor profile is offset by two pomegranate ingredients, offering a sweetness that makes it very approachable and fantastic with any meal. You will find romance in a glance when you mix up the lovely blushing geisha. It's a stunning cocktail that mixes pomegranate juice with a brilliant sake-based liqueur and a hint of sweet rose. Aphrodisiacs galore, this is a great choice for Valentine's Day! If you enjoy playing mad scientist in the bar, you simply must try the Borrachón cocktail. It all begins with a housemade lemonade of rooibos tea and pomegranate juice. From there, you'll add bourbon, ginger liqueur, and burned rosemary. It's fascinating! Grenadine is a pomegranate-flavored syrup, so when you see the name on a liqueur bottle, you can expect the same flavor. That's what you'll find in the for the record cocktail, where the sweetness is paired with citrus vodka and elderflower liqueur. And yet, it's the strawberry-lime cider that really takes this recipe over the top! When you're ready to get crafty, turn to the American dream cocktail. Those fun white stars are fondant and they make a big splash at a Fourth of July bash. The drink itself is a combination of Pama, black cherry rum, and pomegranate-cherry juice. The look makes the drink seem more difficult than it really is.